The National Gallery of Prague has rolled out a virtual reality experience that allows blind and visually impaired people to touch and feel the world's most famous sculptural masterpieces. Rather than being delivered with a headset, the VR experience is produced through a pair of gloves using haptic technology. It is part of an exhibition called "Touching masterpieces" and has been developed in a collaboration between Geometry Prague, VR firm NeuroDigital and the Leontinka Foundation, a charity for children with visual impairments. The exhibition features the bust of Nefertiti, the Venus de Milo sculpture and Michelangelo’s David. Haptic gloves create an experience where a virtual hand can touch a 3D object in a virtual world, which sends feedback in the form of vibrations. 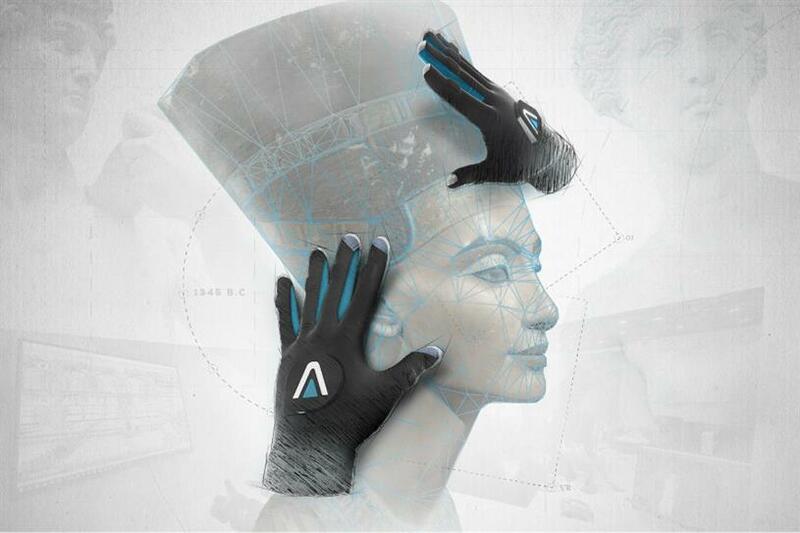 The "avatar VR glove" has been customised for the project with multi-frequency technology that is able to stimulate different types of skin cells’ tactile responses to provide the blind with the most accurate perception of the 3D virtual object as possible. Barbara Hucková, executive director of the Leontinka Foundation for the blind, said: "Blind children are usually taught in school with relief aids and tactile pictures that far from accurately reflect reality. "This new technology is an incredible breakthrough allowing pupils to touch what was absolutely unattainable before". Luis Castillo, founder and chief executive of NeuroDigital, said his company was founded to improve the quality of life through tech and previously focused on aerospace, health and the research sectors, but decided to go "all in" when approached by Geometry to "democratise" its tech. Geometry Prague’s creative director Julia Dovlatova said: "Through curiosity, pursuit of innovation and a passion for creativity, we realised that specially-adapted haptic technology could open doors to a unique art experience for the blind. "Our collaboration with NeuroDigital helped us fine tune haptic gloves to ‘see’ art through virtual reality touch."